Érd is situated 15 kms from the centre of Budapest, at the end of the M7 motorway. The composition of the thermal water in Érd is Very similar to the that of Karsbad.It may be used as a drink or bath to cure gout,stomach,enteritis,meteorismus,bronchitis,dental,throat and oral symptoms and diaeas but of course the water is also suitable to cure locomotor diseases. Bükfürdő is considered as one of the most important spas in Hungary. The modern spa awaits its guests on a 35-hectare territory. Its thermal water is suitable to cure diseases of the digestive syste as a drinking cure. As a bath, it may be recommended to those with orthopaedic and rheumatic diseases. Due to its carbonic acid content, the water expands the blood vessels and thus reduces blood pressure. Inhaling it helps those with trachitis and bronchitis. The hotel was constructed in 1986 and is located 25 kms from the Austrian border and 57 kms from Sopron, one of the most beautiful cities of Dunántúl (Transdanubia). The hotel has 200 rooms. Each room inludes a telephone, radio, colour TV, and a minibar. Part of the rooms are also suitable to accommodate non-smoking and disabled guests. Further services: own car park, hairdressing, cosmetics, manicure, pedicure, souvenir shop, libray: hotel restaurant with Hungarian, international and diet food, drink bar, night bar, bowling alley. For those who wish to indulge in sports or relax: fitness room, swimming-pool, tennis court, minigolf, squash, sauna, solarium, bicycles, morning exercises, various ball games. Horse-riding is also available near the hotel. Hungary’s biggest gold course is also situated nearby. Medicinal opportunities: balneotherapy, physiotherapy, electrotherapy, rheumatology and internal medicine tests, acapuncture, reflex massage. The thermal lake of Hévíz came into being 200 million years ago and the good and medicinal effect of its water has been known since the ancient times. With its 47.500 m2 water surface, the Hévíz lake is the second largest lake in the world. Its thermal water is successfully used for rheumatic, locomotor, musculr, neurotic diseases and gynaecological problems. Eger is located 130 kms from Budapest, on the south slope of the Bükk mountains. The city is famous for its historical past, Baroque architecture, bathing culture and excellent wines. Hotel Flóra awaits its guests among the thermal spings, more than trees of several hundred years of age, offering comfort and various services. The town is a famous spa which is also know beyond the Hungarian borders. Its thermal water containing alkalichloride, hydrogencarbonte, brom, iodine, sulphate, and fluoride is suitable to cure a lot of diseases. It may be succesfully applied primarily for locomotor diseases, degenerative joing deviations, spinal complaints, damages, and chronic neuritis. It is still proud of ist tide of “Mekka of those with rheumatism and the Paradise of bathers”. The country seat is the centre of Hungarian calvinism. The city contains a lot of historical monuments (St.Ann’s Church, the Calvinist Churc and College) and a flower carnival is held in Debrecen every year which is famous in the whole Europe. Debrecen is also known for its thermal waters: The 60-64 C water containing alkali-chloride, hydrogen-carbonate is suitable to provide follow-up treatment for chronic arthritis, worn cartilages, orthopedic deviations of injuries from accidents. In addition it is also recommended for heart and circular problems as well as gynaecological diseases. It is one of Hungary’s most beautiful spas.The termal bath and it sports facilities providing complete balneo and electrotherapy are located in the direct neighbourhood of the castle, in a nature preserve park. The termal water containing alkali-hydrogen carbonate, iodine, and flouride is excelent to cure locomotor diseases and follow up treatment for gyneacological, surgical and neurotical problems.The weight bath provides a successful treatment to follow-up cure of spinal complaints. The description and a photo of the hotel may be found under the title of North-Hungary. The hotel is connected with the medicinal wing through a closed corridor. The thermal water is suitable to treat locomotor and rheumatic diseases. The thermal bath and swimming-pool, which are well-known in Europe, are located in the neighbourhood of the hotel. Medicinal services: special medical care, theraputical-pool, electro and physiotherapy, galvanised bath, tangentor, medicinal exercises, theraputical massage. 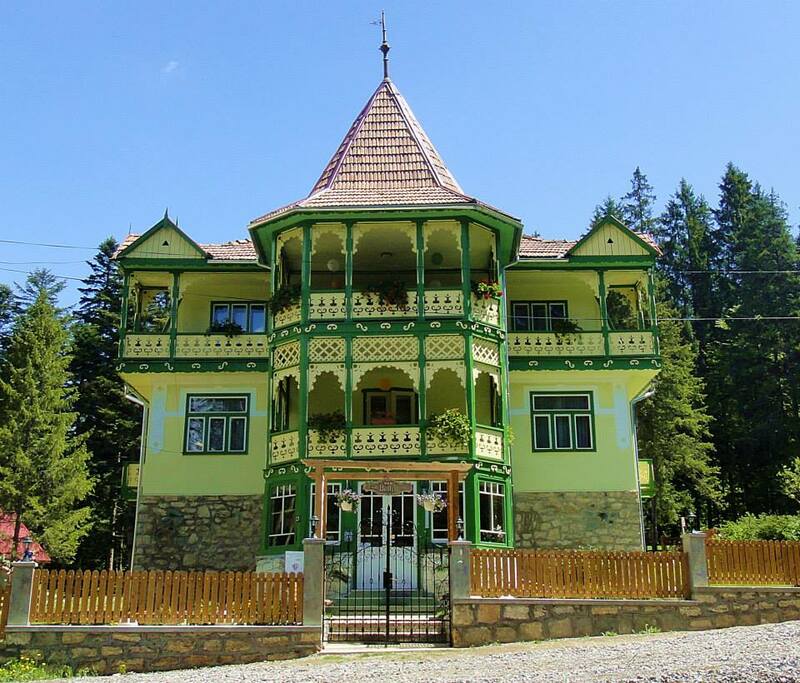 The hotel is situated in the holiday quartet of Hajdúszoboszló and is only 5 minutes from the thermal bath of the town. It awaits guests hoping for a medical cure or recreation with 75 double rooms with a bathroom and a balcony and 4 suites. The rooms are equipped with a colour TV, radio and a minibar. The facilities of the hotel: restaurant, drink bar, indoor swimming-pool (with thermal water) sauna. This is a hotel with a special atmosphere in Debrecen Nagyerdő. The hotel awaits its guests with 102 rooms and 4 suites. The rooms are equipped with a bathroom and a balcony and some of therm also contain a TV and a fridge.